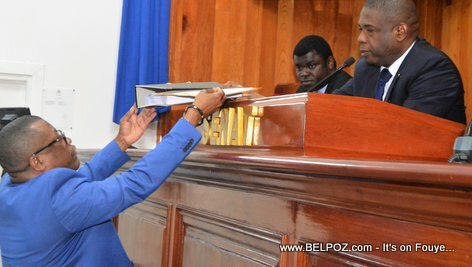 Haiti's Superior Court of Accounts and Administrative Litigation (CSCCA) promised to submit their PetroCaribe report to the senate in January 2019 and they kept their promise. On Thursday, January 31 2019, La Cour Superieure des Compte transmitted its PetroCaribe investigative report in the Senate of the Republic. The report is somewhat incomplete, according to CSCCA President Pierre Volmar Desmesyeux,who indexes the "reluctance and slow pace of some administrations" as the main cause, Le Nouvelliste reports.